For as long as I can remember April 1st was always “All Fool’s Day”. And for just as long the … Continue Reading How did April 1st Become the Day of Fool’s? : Or The Foolish Origins of April Fool’s Day. On March 23rd I attended the Drips live art & Brunch event at Rice & Gold located next (actually attached) … Continue Reading Drips Live Art & Brunch Experience: Featuring Street Artist Zimer. Men’s Charm Bracelets: How lucky are your charms? The word “Charm” according to the Oxford Dictionaries means: The power or quality of delighting, attracting, or fascinating others. While … Continue Reading Men’s Charm Bracelets: How lucky are your charms? Spring Equinox Closet Cleaning: Start a Fresh Wardrobe for the New Season. Winter time winds are starting to blow away, giving rise to the budding flowers. Yes the seasonal changing of the … Continue Reading Spring Equinox Closet Cleaning: Start a Fresh Wardrobe for the New Season. The Real Story Behind St. Patrick’s Day: Or the True History of a Fake Saint. Top of the morning to yea Matey’s!!!! It’s March again and we all know what that means. As we slowly … Continue Reading The Real Story Behind St. Patrick’s Day: Or the True History of a Fake Saint. Fashion Week Spotlight: Diva Bigg, Doing Big Things. Diva Bigg returns to Fashion Week 2019! Doing Fashion Show after fashion show much to the delight of us here … Continue Reading Fashion Week Spotlight: Diva Bigg, Doing Big Things. Is 2019 The Year of High Fashion Racism: Are the Big Fashion Houses Involved in a Racist Collusion Campaign? It seemed to have started in December 2018. Prada’s store front window presented a very offensive display of “Sambo” caricatures … Continue Reading Is 2019 The Year of High Fashion Racism: Are the Big Fashion Houses Involved in a Racist Collusion Campaign? The Evolution of Black History Week to Black History Month. Growing up many African-Americans kids (and Adults) celebrate Black History Month by writing essays on the contributions of blacks in … Continue Reading The Evolution of Black History Week to Black History Month. FiFi Fashion Week: Independent Designers Fashion Show. 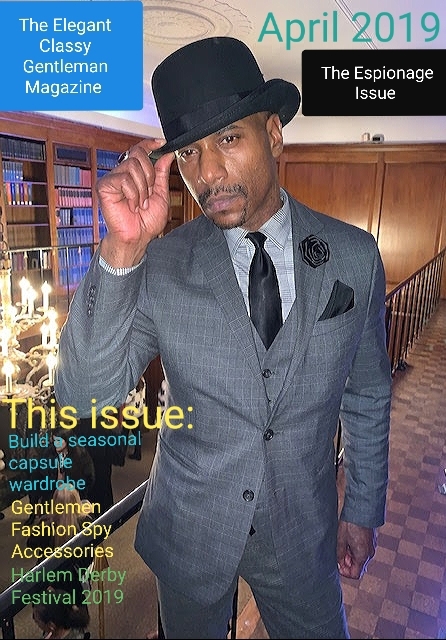 (FiFi Fashion Show Organizer Sofia Davis) The Elegant Classy Gentleman Magazine is a huge supporter of independent fashion designers, and … Continue Reading FiFi Fashion Week: Independent Designers Fashion Show. SBFW Fashion Week Show: At the Fashion Mansion. On February 9th 2019 The Elegant Classy Gentleman Team was invited to SBFW fashion week season 15, for fashion week press coverage … Continue Reading SBFW Fashion Week Show: At the Fashion Mansion. Five Valentine Gift Ideas a Gentleman Would Love. Galileo Thermometer This liquid thermometer is based on the scientific principal discovered by Galileo. 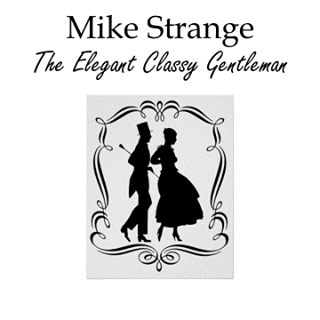 As the liquids in the cylinder contract slightly … Continue Reading Five Valentine Gift Ideas a Gentleman Would Love.